Lane Electronics and its specialist Motorsport Division, Lane Motorsport, have become the first to be approved to assemble Souriau’s industry-leading high-density connector systems. The company is the first, and only value add distributor approved by Souriau to assemble the company’s high-density D38999 connector systems, while Lane Motorsport has similar approval for Souriau’s high-density 8STA series. 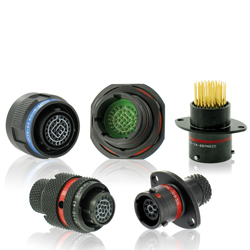 For customers of the companies, the approval means customers can come to them for their high-density prototype, small volume and urgent connector requirements. The availability of a substantial inventory of connector piece parts means that assembled connectors can be turned around very quickly. The assembly teams can put together many plan forms including 0812/0912, 1026/1126, 1243/1343 and 1468/1568 with insert arrangements with both crimp and PCB tail connectors. The company can also help customers who need special shell requirements.